Over Thanksgiving, I was fortunate to be with extended family for a three-day celebration. Among the events of the visit there were several faux pas such as a guest’s dog pooping on the floor as soon as they arrived and the host dropping the turkeys and the marinade all over the kitchen counter the day before causing my sister to put on rubber gloves and scrub the entire sink, counter and floor with antibacterial soap. There would be no salmonella on her watch! In addition to moments of high energy family reuniting, I got to observe parenting at its best. My five-year-old grandson is gorgeous and brilliant, but he can also be a handful and the house full of strangers was at times too much for him to handle. My son and daughter-in-law were a compassionate tag team, dividing the responsibilities of helping our hosts prepare and guiding the children. 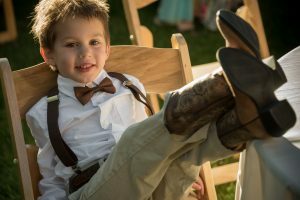 When my grandson got wild and out of control, my daughter-in-law took him by the arm out of the room, bent down to talk with him at his eye level and made sure that he understood the behavior that was expected of him and how his differed from that. She was firm, but never yelled or shamed him. And when he got the privilege of dessert taken away on Thanksgiving Day, she sat with him in another room and read and drew to keep him company while he endured the pain of being denied dessert. I felt like I was observing the formation of a considerate human being. It happens in little increments when we are busy with other things and would rather just let it go. I am so thankful for my daughter-in-law’s mission and that I was able to bear witness to creation at its finest.